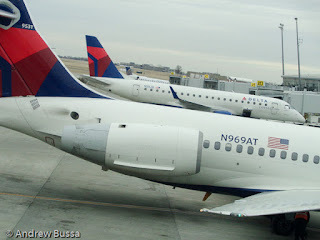 Frequent Flyer Guy - Miles, Points, Tips, and Advice to Help Flying: Where Did All the Deals Go? Airline stocks are doing well and carriers are filling seats on their flights, so there's no need for discounts to boost ticket sales. Also miles programs have changed their focus to high revenue customers, so general mileage deals are non-existent while international business class flights could yield extra miles. It's a slow time for my points hobby, but I am planning some trips that could be a fun use of miles when the slow season comes. I did pick up a Delta Amex with a 50,000 mile sign up bonus (NOT compensated for this link). No, I don't intend to fly Delta, but Virgin Australia's new business class looks fun.